Reading progress update: I've read 1 out of 690 pages. A change of scenery from Stephen King's usual territory of Maine usually makes for some of the author's most arresting and impressive fiction (see Duma Key, The Shining, and The Stand). 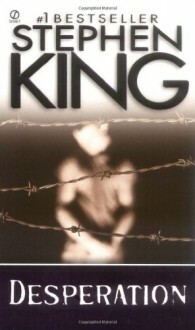 King is an author who seems to thrive on challenge, and setting some stories' locales outside his comfort zone typically yields successful results. The Green Mile, a historical fiction novel set in the Deep South during the Depression, attests to this. Going into this read, I could not entirely remember if I'd ever finished The Green Mile in the first place. I recall starting it in tenth grade, and reading the initial chapters over downtime during driver's education. But I really don't think I finished it . . . and why, I'm not sure. Sure, I've seen the movie adaptation tons of times; therefore, I was familiar with the story's ending. Yet that didn't rob this 1996 novel of its quiet, meditative power. After the flabby and exhausting Insomnia and Rose Madder, this was a breath of fresh air. Since The Green Mile was originally published in serial form (a fact I know every single one of you already know, but I feel obligated to say it anyhow), one can tell King really worked hard to cut off the fat and stick to the good stuff. There isn't a word out of place here: no needless plot lines or wasted dialogue. Everything introduced to the reader is here for a reason. This story has a killer beginning and only gets better, eventually winding down with one of the most heart-wrenching and rewarding endings my favorite author has written to date. In short, this work is a marvel. On display is some of the most muscular character work King has managed; not to mention the masterful use of setting. Over every page looms a sense of doom and sorrow; around every corner are hauntings from the past felt by real people, these characters who seem to almost leap off the page. I'm not totally sure if this is in my top 5, but it might be. It just might be. Tomorrow (9/1) is the start of Halloween Bingo! 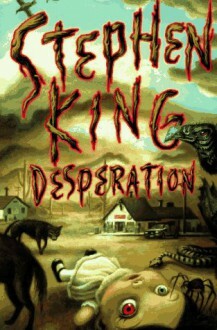 I'll be reading Desperation for my American Horror Story square. I thought Desperation was next, but I forgot The Green Mileexists. Ha! 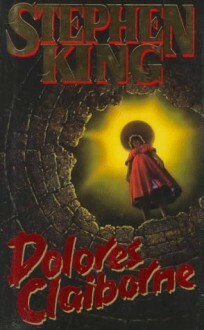 Five stars for one of my very favorite Stephen King stories: the enthralling and legendary 1993 novel, Dolores Claiborne. As old as this book is, and considering it was made into a big budget film starring Kathy Bates (my favorite King adaption, by the way), almost everyone knows the plot — so I won't rehash too much. But I will say this is the story of a woman — easily the strongest woman King has ever created, and simply one of the best damn female main characters I've ever come across in fiction. This is her story — her confessional — all told in first-person, in Maine dialect. The writing style is unique, something most authors wouldn't have been able to pull off . . . but King isn't most authors. 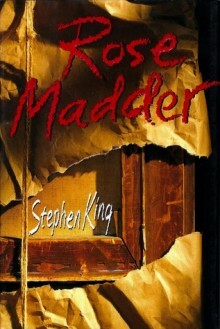 Novels like this one are why he is my favorite writer, full stop. There is so much I want to say about this book and I find I can't really say much at all. 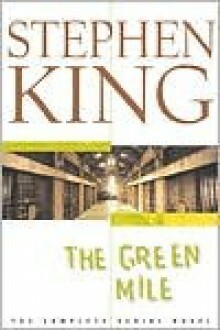 A complex, taut, fast-paced domestic thriller/drama/mystery, this ranks among King's most un-put-downable and intriguing. defy any reader to finish the story and not think of Dolores from time to time. A classic. A must-read. Etc. Several references to Shawshank prison are mentioned. On page 226, Dolores is driving home on the day of the eclipse and takes note of the deserted roads — she comments on how hey reminded her of "that small town downstate" where it is rumored "no one lives there anymore." A reference to 'Salem's Lot? I'll say maybe. This is the 'sister' novel of Gerald's Game. Both books' most crucial moments take place on the day of the eclipse. It's a world of color, a world of darkness . . . It's Insomnia.